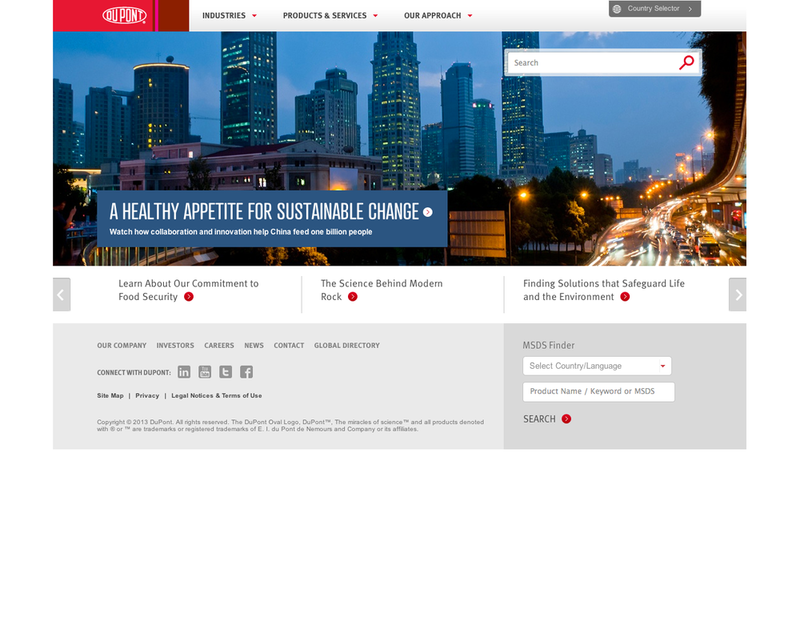 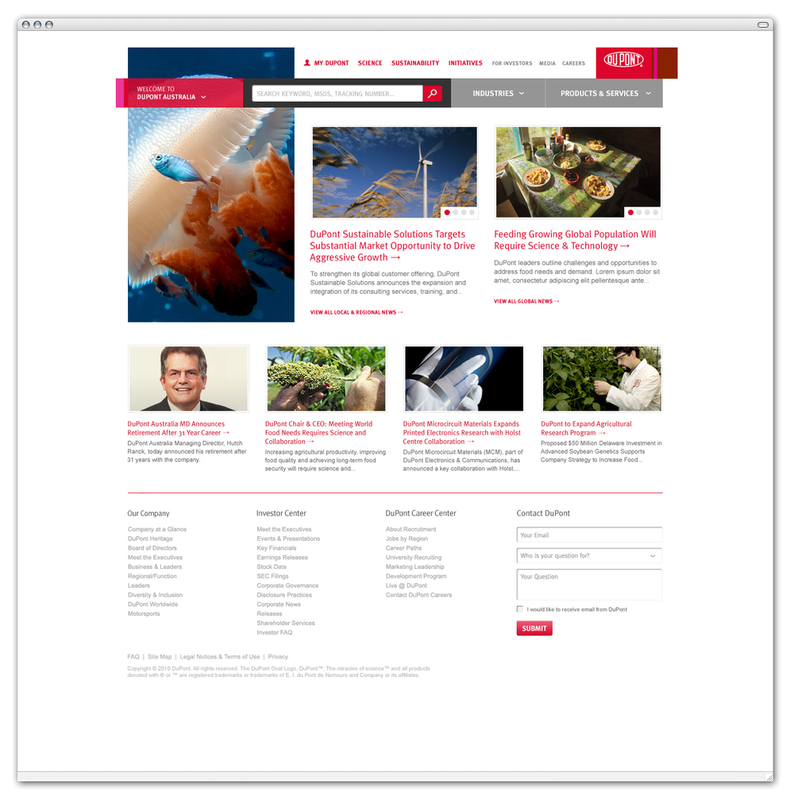 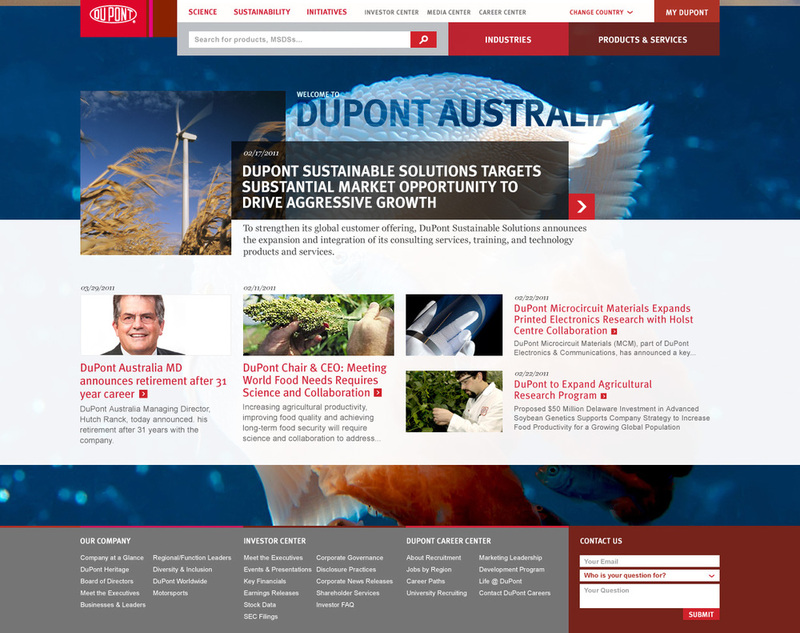 The redesign and re-architecture of DuPont's global digital presence was a vast undertaking. 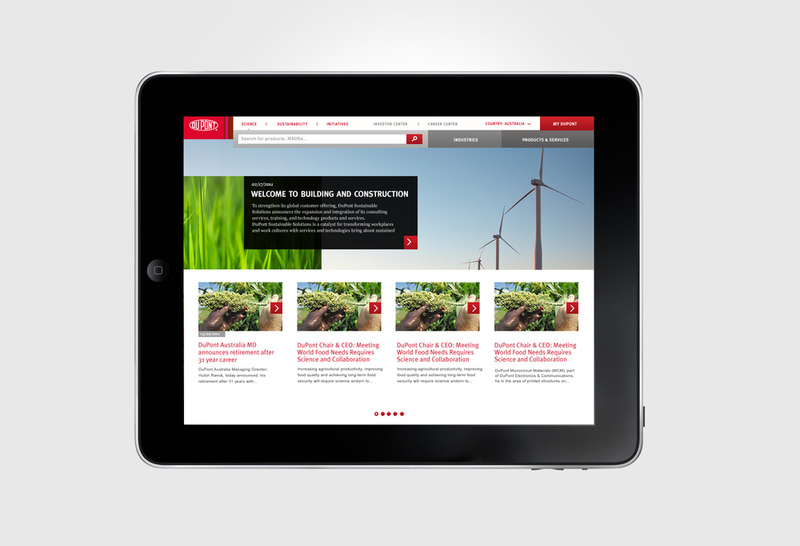 It allows users more intuitive and relevant pathways into DuPont's 30,000 plus offerings through major digital platforms – desktop, tablet and mobile. 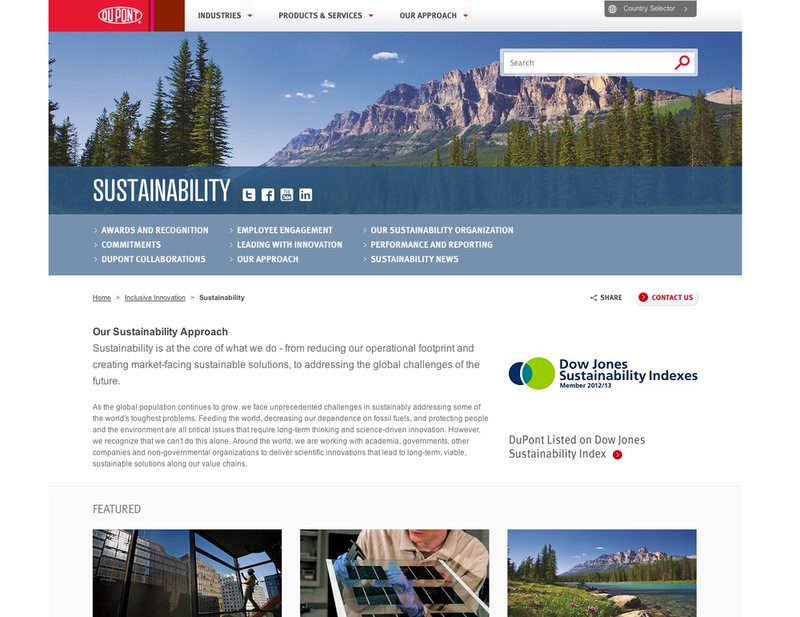 The project was a cross disciplinary effort, with creative, user experience, content strategy, technology and brand teams working together to holistically address and solve challenges. 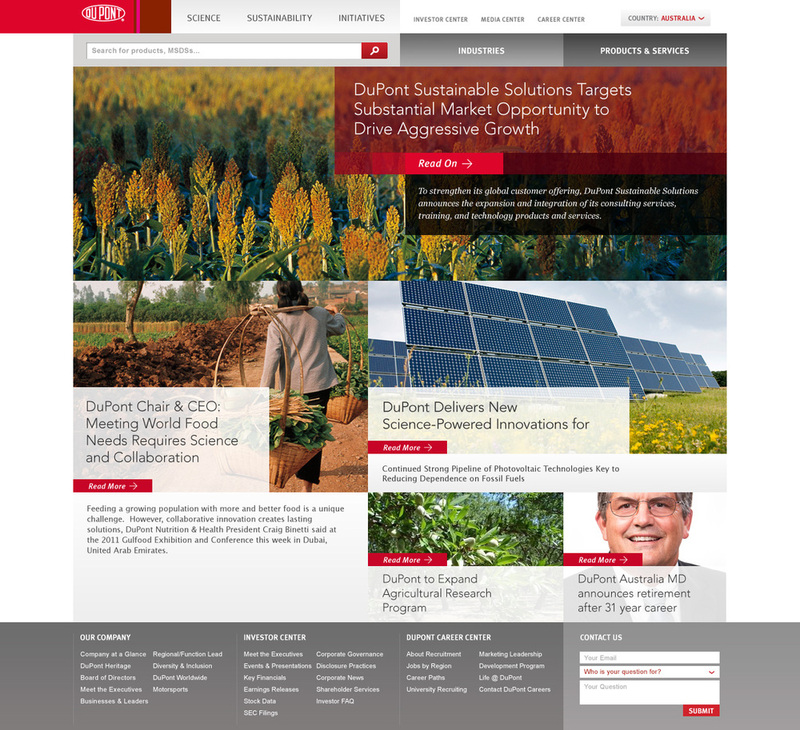 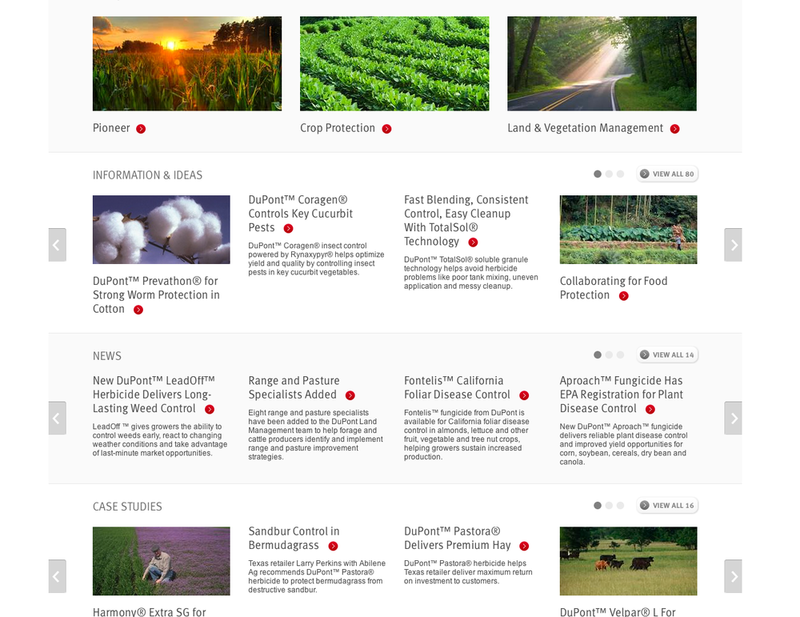 The solution was an elegant system that allowed for consistency and flexibly to accommodate global content variations, the marketing needs across their 12 business units, and showcasing DuPont's corporate initiatives, thought leadership and innovations.